Ben McAdoo's isn't done analyzing the NFC East. Even after being fired by the Giants, McAdoo told the New York Post he'd pick the Giants to win the division. Why would he pick against the reigning Super Bowl champs? "I think Philly, how much success has Philly had?" McAdoo said. "I think they're gonna have a hard time handling success." But McAdoo wasn't done in what was his first time speaking publicly since being fired in December. "Dallas, I like their offensive line, but how long have we been saying that? Their defense, they got a bunch of young guys playing DB, Sean Lee is banged up a lot, and their D-line, they got a bunch of guys getting in trouble all the time. "And Washington is Washington, right?" 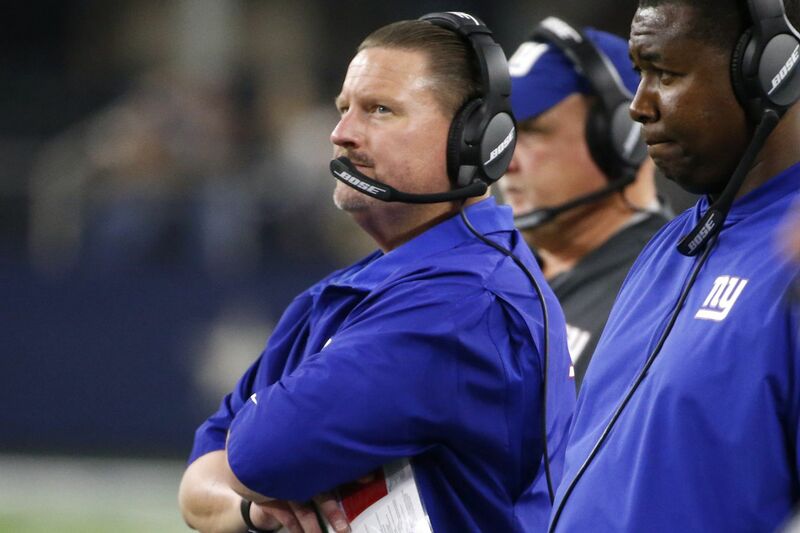 McAdoo was replaced by Pat Shurmur, who spent three seasons as the Eagles offensive coordinator under Chip Kelly and one game as interim head coach after Kelly was fired. Shurmur spent two seasons with the Minnesota Vikings before heading back to the NFC East.